An old man is cutting out little wooden figures on the laser cutter. He is coming here often, several times a week, the whole year, chats with the staff and the other regulars amicably. “He is performing as Santa Claus before Christmas”, explains Oyuki Matsumoto, “and he gives those figures away as little presents during Christmas time”. Oyuki heads the STPLN, by definition a makerspace available for anyone who wants to create and build things, produce cultural events or experiment with project designs. He is one of many, sharing his passion for making and prototyping with students and designers, architects and school kids. What started out as a little selfmade container next to a skate park now serves as a center for all things hands-on innovation – part of it being a big maker space with laser cutters, 3D-printers, materials and other machines. An old building that had been unused since the Seventies was refurbished in 2007 to create a space that allowed for experimentation and interaction with the community. “We did not come with a fixed plan, we really tried to find out what people wanted us to be”, Oyuki explains. When she is asked to explain their place in the innovation scene, she likes to call it “the human part of innovation” – to help people develop creative confidence and have fun making art and creating projects themselves. Fabriken – The makerspace with machines and tools for digital production, carpentry and electronics. The Bike Kitchen – A non-profit community bike shop, where you can fix your own bike or build a new one from recycled frames. The old bikes come from donations, and are used to reassemble or repair broken ones. Everyone is welcome to grab a bike and make it his or her “project”. 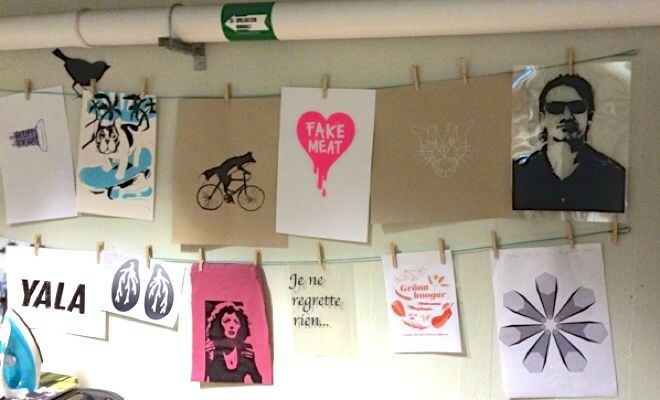 The Textildepartementet – A workshop space with screen-printing possibilities, sewing machines and a knitting machine. Here, courses are offered to learn how to work with the machines. 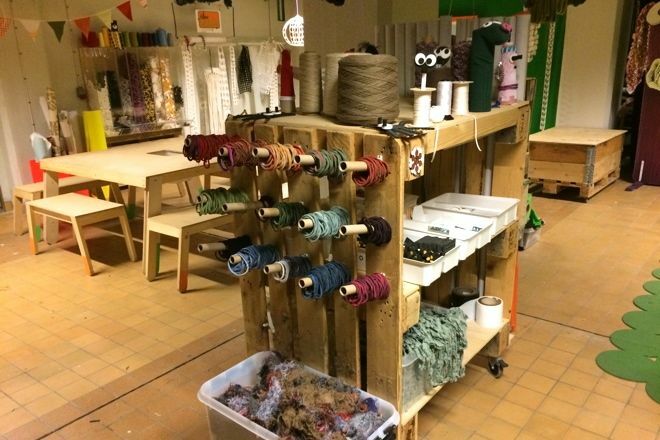 ÅterSkapa – a creative re-use and “upcycling” arts- and education center for kids. 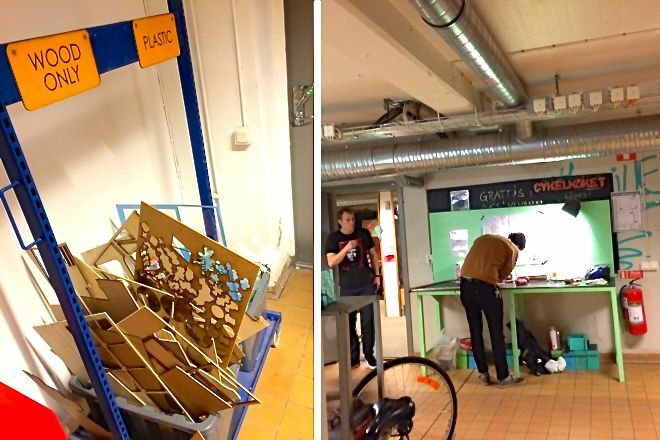 Companies donate their industrial waste that would otherwise be thrown away, and everything is collected to be then used as material for creative work: From socks to IKEA screws and plastik strings. Schools are using the space for workshops, and once a month, it’s “Drop In Art”-day, when families are invited to come with their kids and create things.